Beautiful home in a quiet, well-maintained cul-de-sac located near schools, shopping and the Galt Community Park. One of few homes with a full bedroom and bathroom downstairs and an open floorplan that shines with a double-sided fireplace to warm both the formal dining/living area and cozy family room. The kitchen offers tile floors & counters, a breakfast nook and a spacious pantry cabinet. Upstairs you'll find 2 additional bedrooms, a full bath with double sinks, an over-sized bonus room and spacious master suite. 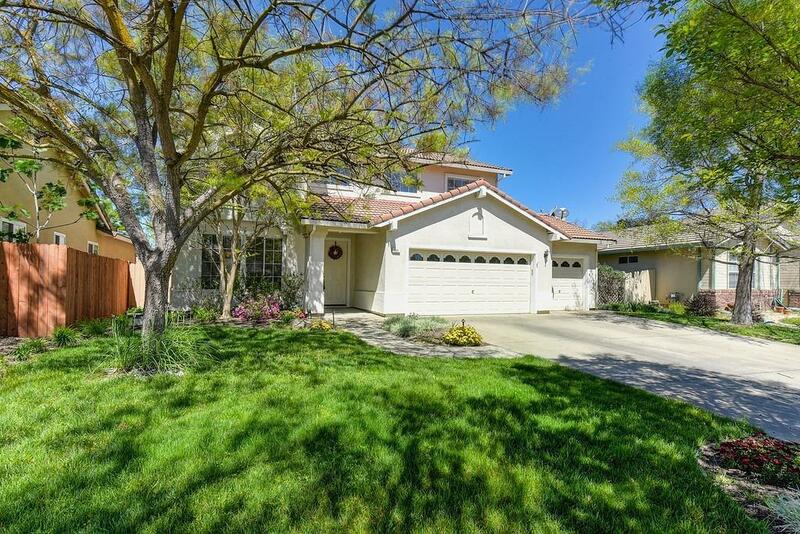 The entire home offers ample natural light with new carpet and flooring throughout. The backyard welcomes you with an extra-large covered patio, beautiful landscaping, a hot tub pad ready and wired and no rear neighbors. As an added bonus, this home comes with a 3-car garage with attached cabinets and workbench.